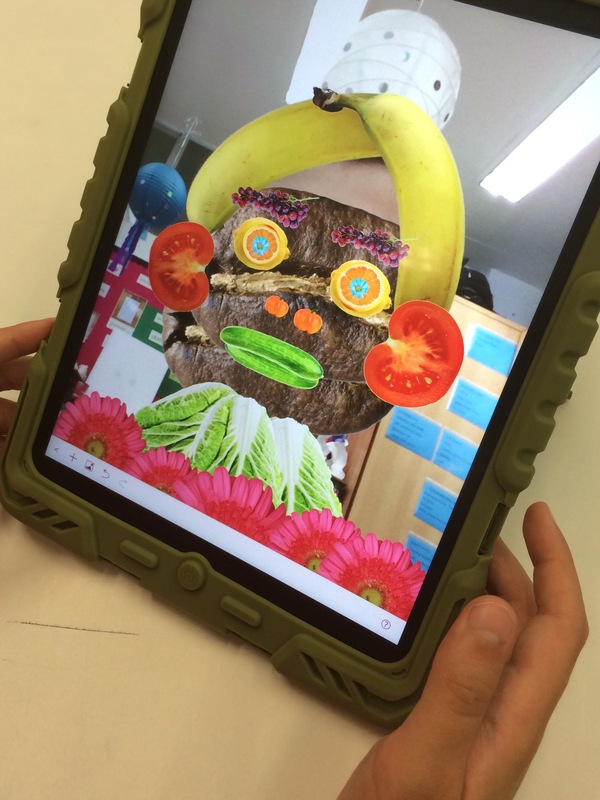 Providing an opportunity for students to connect with portraiture through the work of Giuseppe Arcimboldo (1526-1593) is engaging stuff. This Italian painter is most famous for his imaginative faces made up entirely of fruit, vegetables, meat and other objects of significance, and they continue to be a source of wonder for children of all ages. 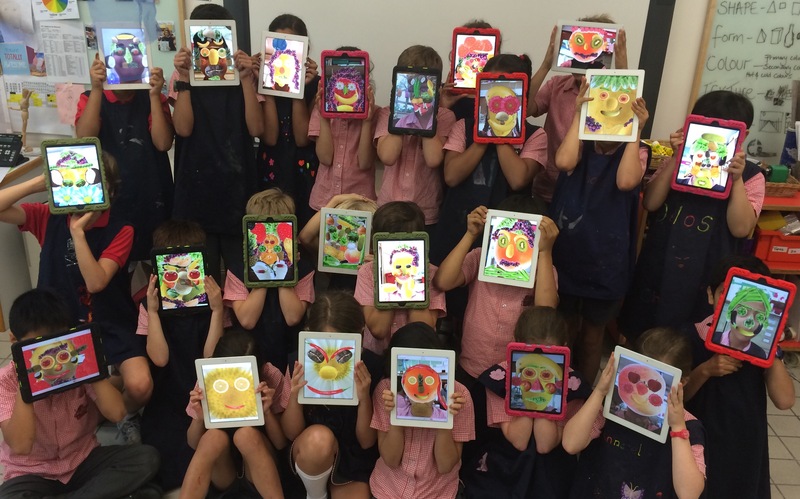 Students can use the Pictoboldo app to create their own digital collages. 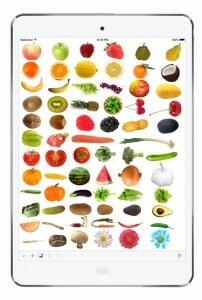 The app presents a large collection of beautifully rendered images of food that can be dropped and dragged into place. Students can also consider the historical context of portraiture, and examine the difference between portraits and selfies. Some very interesting conversations emerge as students compare and contrast the method of production used in their digital work with Arcimboldo’s oil painting techniques. This is also a great opportunity to engage with the thinking around the value of art, authenticity and ownership, as well as copying, appropriation and reproduction. Begin by taking a selfie in the app and then use it as a guide, placing food objects over your face. There are so many fruits, vegetables and meats to choose from – consider the colours, shapes and textures as you build up layers to produce detail in the work. You can change the size and orientation of the objects, shift them in front or behind each other, and flip them around. You can also build up some very intricate imagery as the layering increases. In the image below you’ll see a group of students using leaves to construct characters as part of an extended creative workflow. Using these shapes on their tables, the learners were able to grapple with layering while they developed ‘whole figures’ in action. 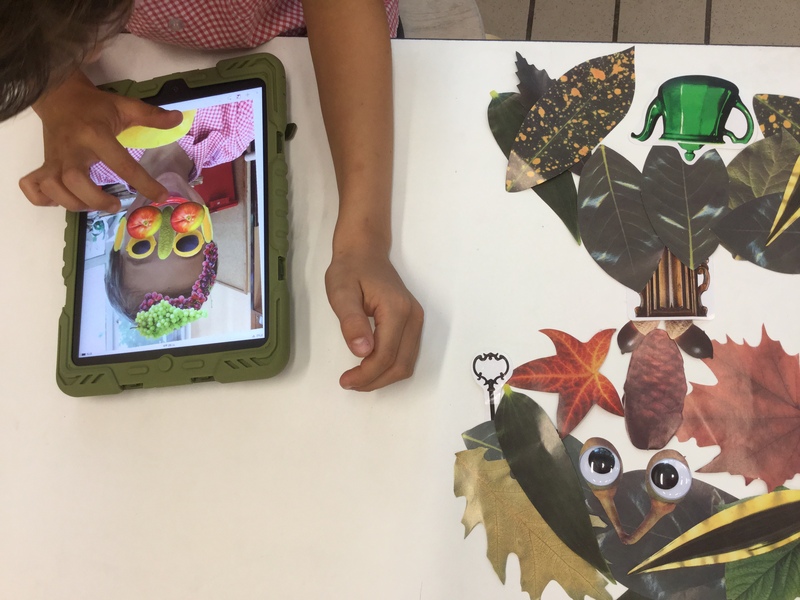 Moving from this activity to the Pictoboldo app, student were able to explore and compare the concept of portraiture, and they connected their understanding of layering to the digital task, developing complex compositions. Digi-collage apps are a great starting point for a variety of larger creative projects. For example, why not create a comic book with Pictoboldo food characters? Simply produce an image for each cell and drop them into a comic book app such as ComicLife. You can add all the comic flair you need with a few touches. A whole class can produce images and you can put them together very easily using the Book Creator app. You can even make collaborative books, so each student could produce a page each. Imagine a character to represent each letter of the alphabet, or a book about the food groups and health eating choices created using the Pictoboldo app! Pictoboldo, and similar apps, can be used to create all kinds of images – you are certainly not limited to portraiture. Faces I Make is another popular app for digi-collages. Including a variety of other images such as pens, balloons and glasses, this app can extend the possibilities. Would you like to make your digital portrait talk? 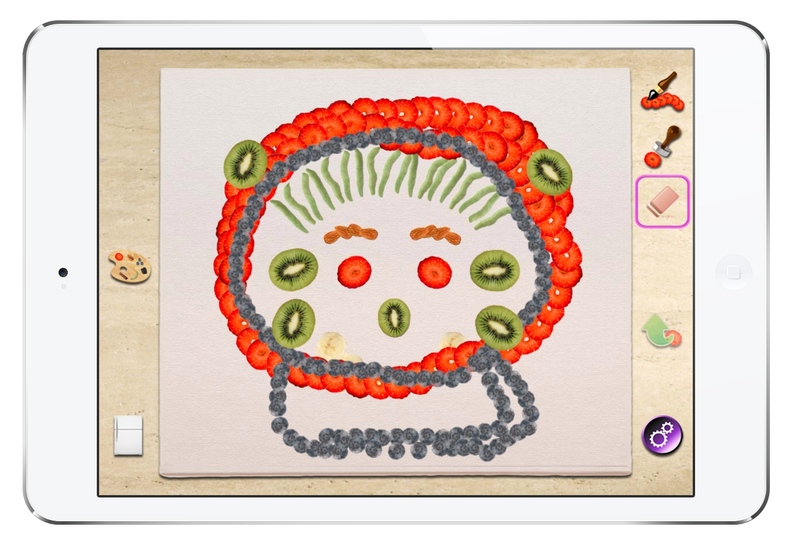 Jump into ChatterPix Kids and with a swipe your art will come to life. Of course it is a whole lot of fun for the students to hear what their collage has to say, but connecting this app to a reflective task can be a powerful way for students to show what they know. 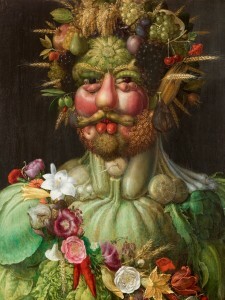 For instance, images can talk about the concept of layering, reflect on the challenges encountered during construction, or present short facts about Arcimboldo. Imagine what the artist would think! If you liked this post, you might also want to check out PlayArt.